May 2013 Chicago’s Autobahn North Track Event at the Heidts Performance Car Challenge. 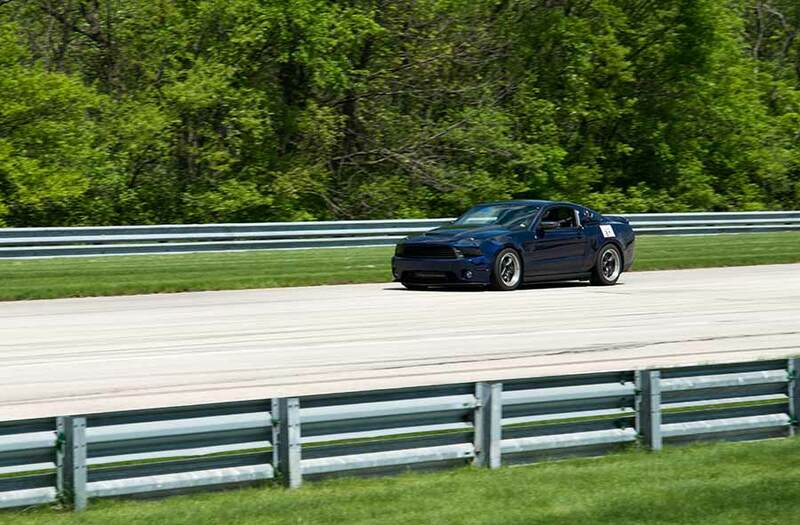 I ran my Supercharged 3.7L V6 Mustang. There we over 70 cars participating they placed us into run groups that had similar times. My testing time was done on a semi wet track with brakes that had not been bedded. they also only used transponders the first half of the day so my recorded times were not so hot. Throughout the day I kept improving and caught a passed two cars. 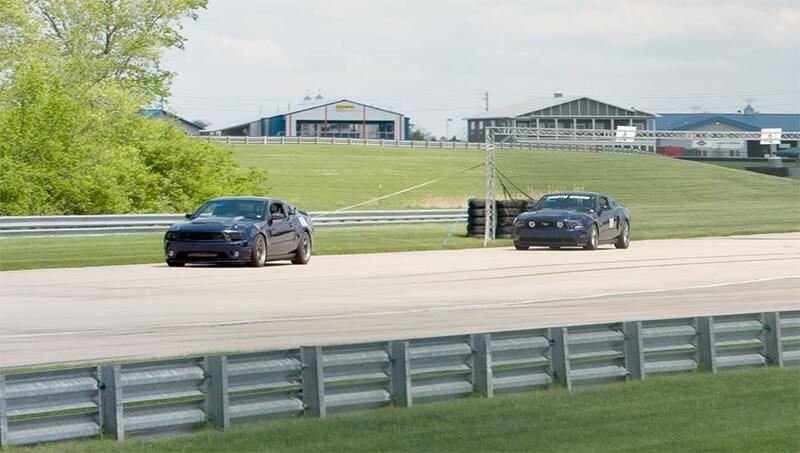 I pulled in a tracked prepped 2011 Mustang and a 2006 Chrysler 300 SRT8. I am sure I improved my lap time by at least 4-5 seconds by the end of the day. You can watch the video for some the excitement. At one point the wind pressure from the 120 MPH straight blew the gopro camera back and I lost the pass on the Mustang. On the flip side I was passed by two cars, but both of them must have been sandbagging during timing. They had considerably more horsepower, one however blew up on track right in front of me so be sure to check that out on the video. Overall I had a great time and I even won an Editors Choice award from Evan Smith of Muscle Mustangs and Fast Fords Magazine. This track day fun included enhanced fun parts from Nitto, Weld, Eibach, EBC, BMR, Stifflers, Barton, SPEC, Shaftmasters, Bassani, and ProCharger. I just passed a 2011 5.0 Mustang on the Long Straight. The Video Missed this pass. Putting the EBC Orange Brembo Pads and rotors to good use. Entering Turn 1 from the long straight. that is the last braking marker. You start to trail brake as you go deeper. Just entering the apex on turn 1 after the long straight. Setting up for Turn 2 by moving from the right to the left. So going deep here is not a good line. The EBC Orange Pads, Weld RTS wheels, and Nitto NT-05 Tires did their jobs very well. A shot after I passed the 06 300 SRT-8, it sure could move. Cooling off in the paddock. Running Weld RTS wheels and Nito NT05 tires and RK-Sport Vented Fenders. Waiting on the grid in the rain before timing. You can see the stance with the Eibach Springs and a good look at the EBC Rotors. Also seen is the Kenny Brown Victor Ford 2013 Special Edition Mustang and “Ruby” Kenny Brown’s GT-4-RS Mustang. Kenny Brown was generous enough to let me park at his trailer. Watch the site for articles on his AGS 4.0 System. Me Accepting the Editors Choice Award from Evan Smith of Muscle Mustangs and Fast Fords Magazine.